Small streams are one of fly fishing’s pleasures that is particularly meaningful to me. 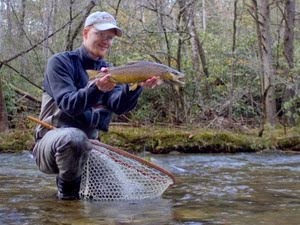 I grew up fishing the small streams of East Tennessee for the rainbow, brown, and brook trout that live in the cold water running down from the forested slopes that encompass some of the roughest terrain east of the Mississippi. When I heard that John Gierach’s latest book not only contained chapters on small streams, but specifically a chapter on fishing with East Tennessee sons, James and Walter Babb on some of my own home waters, I immediately knew I had to read the book “No Shortage of Good Days.” Around the time of release, I was contacted about doing a book review, and while I did not accomplish that goal in a timely fashion, I have finally come up with the time to do the review. Gierach’s newest work is full of the same recognizably Gierach style and content that has made all his other books so successful. Reading anything by Gierach, I can’t help but recognize my own experience and journey as a fly fisherman in the stories he relates. He wastes no time getting on the subject of small streams with chapter one entitled, “Third-Rate Trout Streams.” The timing was ironic because I have spent some time recently dwelling on how I could love my local waters so much, and yet most visiting anglers would be terribly disappointed compared to more glamorous destinations such as the blue ribbon trout streams of the Rocky Mountains. Gierach naturally communicates his thoughts on the subject more clearly than I would have. He has “this idea that constant exposure to the ordinary is good for the soul” and I couldn’t agree more (p. 3). Often, after an extended trip out west, I’ll return home and catch a nice fish on my home water and wonder why I bother to seek the pot of gold at the end of the western rainbow. The beauty of the ordinary is that we can learn to understand the subtle nuances of our home waters, which in turn gives us a foot up on all the competition that filters through over the years. I would place my bets on a local legend here in the Smokies anytime against an outsider in a fishing competition. Experience in the form of time on the stream is the best teacher. Learning to love these smaller, less famous streams is all about figuring out how to have good to excellent fishing on what is otherwise considered marginal or average water. In fact, while it is hard to infer Gierach’s opinion of my own beloved home waters, it appears from what I know about him that he probably is not looking for a plane ticket to return as soon as possible. He describes the area fishing as “Small streams, spooky trout that seldom rise to dry flies, difficult to nearly impossible casting conditions…,” and knowing his preference for bamboo and dry flies, I would assume that he probably wasn’t overawed with our east Tennessee small streams based on that description (p. 66). But in the end, to borrow a Gierach phrase, that’s as it should be. The outside visitor should not enjoy everything that an area has to offer on their first visit…it just wouldn’t be fair to the locals who have spent their lives learning the streams. Every ten casts or so, the part of the line that was wet would ice up in a pattern resembling a string of pearls and I’d have to chip it off before I could cast again. By the time that was done, a glaze of clear ice would have formed around the wet flies. I thought it would probably melt away once the hooks were back in the water, but I wasn’t certain of that, so I’d chip them free with my thumbnail. Then I’d have to stop and warm my fingers in my armpits for a while (p. 86). Another late winter experience he relates reminded me of another aspect of fishing I often find myself caught up in. This particular winter he found himself in the habit of driving up to a short local tailwater that is normally fishable all winter. 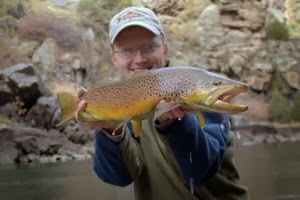 The stream is not noteworthy in general fly fishing terms, it just happened to be convenient. Gierach tells of stumbling onto a small midge hatch that was fairly reliable and would normally stir at least a few fish from their lethargy for a period of surface feeding. On the first day, he threw size #24 patterns at the fish to no avail only to run into another local on the way out who claimed he was catching a few on size #32 flies. 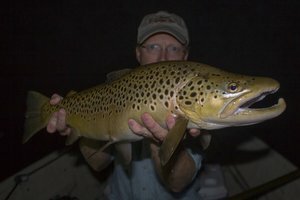 For the following few weeks, Gierach returned on a somewhat regular basis to dial in the hatch and then just to get that fishing fix when nothing else around was really open yet. 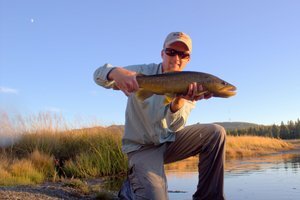 Over the years, I’ve found myself repeatedly returning to some particular stream or lake, often out of convenience, but also because I’ve formed something akin to a grudge with the local fish. That they eat is obvious, but sometimes it seems so hard to figure out what pattern they will take that it becomes something of an obsession. And of course, once I crack the code, I like to return just because I can (and perhaps for a little revenge on the fish as well for making me work so hard). One of the final chapters was so much like déjà vu that I found myself daydreaming more than focusing on what I was reading. In “A Good Year,” Gierach recalls a particularly great year on his local high mountain streams. The fish were particularly healthy and willing to eat or so it seemed. I was transported back a few years, never mind how many, to when I was able to fish the Smokies fairly regularly. That particular summer will stay with me the rest of my life. It was the last year I can remember Abrams Creek fishing even remotely well on a consistent basis, but it was not just good, it was phenomenal. 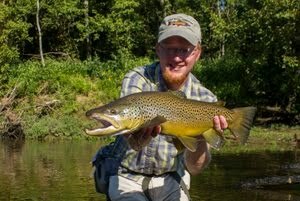 Every trip produced nice fish and the same went for all the branches of Little River and any other stream I attempted. Some years are just better than others due to a combination of natural conditions. While I’ve figured at least some of those out, I still can’t make Mother Nature do what I want so in the meantime, I’ll settle for the good memories and be glad to have been reminded but a great writer.